The recently launched EkoMiko Foundation, founded and managed by renowned actress Izabella Miko, today announced an agreement of mutual assistance and support with Dot Eco LLC, applicant for the .eco top level domain. Dot Eco LLC shares the EkoMiko Foundation’s passion for a greener planet, and also seeks to help transform the planet into a greener place in a fun and interactive way. Izabella Miko and the EkoMiko Foundation announced that it has joined Al Gore, the Sierra Club, the Alliance for Climate Protection, and Surfrider in supporting Dot Eco LLC’s application to create a new “.eco” top level domain. “Dot Eco LLC and the EkoMiko Foundation share a similar mission – to promote environmental awareness in new and innovative ways. Dot Eco LLC has our full support for its application to ICANN for the .eco top level domain.,” said Izabella Miko, the EkoMiko Foundation’s founder and CEO. Santa Monica, CA — A number of leading environmental companies, associations, and organizations today announced their official support for Dot Eco LLC’s application for the .eco top level domain. Dot Eco LLC is an organization dedicated to promoting the acceptance and implementation of the .eco top level domain, and is backed by leading ecological and philanthropic groups, environmentally conscious high-profile individuals, and leading scientific voices. “We are thrilled to join forces with these organizations to help further the Dot Eco initiative and raise awareness about the growing threats to our environment. These partnerships represent an important step towards the implementation of the .ECO top level domain,” said group co-founder Clark Landry. Dot Eco LLC today announced its support of 350.org, the international campaign to fight dangerous climate change by getting carbon levels back to 350 parts per million in the atmosphere. In order to unite the public, media, and political leaders behind the 350 goal, 350.org is harnessing the power of the internet to coordinate a planetary day of action on October 24, 2009. 350.org today also announced that it has joined Al Gore, the Alliance for Climate Protection and Surfrider in supporting Dot Eco LLC’s application to create a new “.eco” top level domain. SAN FRANCISCO, CA, AUGUST 18, 2009 — Dot Eco LLC, the group backed by Al Gore, The Alliance For Climate Protection, Sierra Club and Surfrider Foundation, announced another of its key appointments. Today, the group announced that renowned activist, Mark Massara, is joining the initiative as its Chief Policy Officer to oversee policy development and legal concerns for the new top-level domain. “Mark’s result-oriented approach is synonymous with our mission to effect real change. His lifetime of activism is known and respected in the environmental community, and we are proud to be aligning our efforts with this force of nature,” said group founder, Fred Krueger. The environmental community can be assured that there will be sound ground rules and enforceable policies for individuals and businesses who register a .ECO domain name. Massara’s dedication to promoting legislation that defends the environment indicates the kind of strength and integrity that the group wants the .ECO principles and guidelines to be associated with. 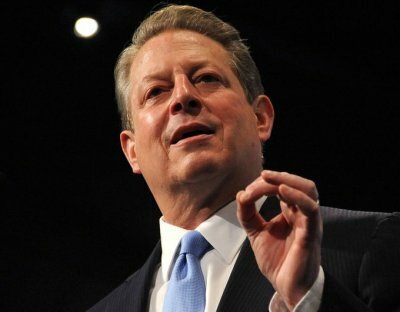 Dot Eco LLC, the group backed by Al Gore, the Alliance For Climate Protection, Sierra Club and Surfrider Foundation, announced today its first of a series of key appointments that Jim Dufour, Associate Director at Scripps Institution of Oceanography’s Instrument Development Group, will join the initiative as the group’s Chief Environmental Officer. Following weeks of misleading statements to the press and Internet media by leaders of the “Big Room” effort, the founding members of Dot Eco LLC today published an open examination challenging the economic viability and environmental impact of the Big Room plan. I had the privilege to be invited to Al Gore’s conference on climate change. This conference was restricted to about 50 invited guests, but the list was astounding. John Doerr from Kleiner Perkins, Mitch Kapor (the inventor of Lotus 123), Evan Williams from Twitter, Wes Boyd from MoveOn.org, Maggie Fox from the Alliance for Climate Protection, Larry Schweiger from the NWF, and many more. LOS ANGELES, July 31 /PRWEB/ — The founding members of the effort to create the top-level domain “.eco” today released the principles underpinning use of .eco – reiterating their commitment that .eco addresses should fund proven efforts to combat climate change. Former Vice President Al Gore and the Alliance for Climate Protection, the Sierra Club and Surfrider Foundation are among those backing the Dot Eco LLC plan. By charter, more than half of .eco profits are earmarked for groups and organizations with a commitment to combat global warming. Dot Eco LLC is proud to support Roz Savage, the British ocean rower and environmental campaigner, in her upcoming effort to row solo across the Pacific. Roz’s boat, the Brocade, will bear the “Dot Eco” logo on this historic voyage. Roz will also be featured in a video profiling outstanding supporters of “.eco” including Al Gore, Carl Pope and Roger Moore. “We all need to pull together to take immediate action on climate change. Through .eco we can find each other more easily to combine forces. I’m doing my bit — rowing solo across oceans to inspire people to action,” said Savage, who discovered the “.eco” project at www.supportdoteco.n.nu.